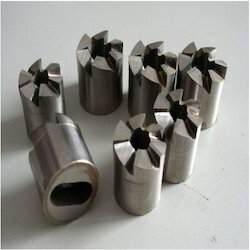 With sincerity and hard work of our experts, we have carved a niche for ourselves in this domain by manufacturing and supplying Carbide brazed Milling Cutters. Our company has achieved widespread recognition for providing Face Cutter to the clients. This product is used for machining of T slots, deep slots and special profiles in multiple industries. This product is tested by skilled professionals to remove its flaws and ensure quality as per the industry laid norms. We are engaged in offering a comprehensive range of finger face cutter, which is an efficient cutting tool and available in different types. These cutters are appropriate for cutting all composition material, plywood, hard wood and soft wood. Our range of cutters conforms to international quality standards and can be availed at competitive prices. Our organization is offering a comprehensive range of Face Cutter (FC-03). They are made in varying diameters and widths depending on the application. Perfectly engineered for dimensional stability and long life. These are extremely sturdy and are used for light & heavy deep slotting of varied material. Spot face cutter with guide pin. Leveraging on our skilled professionals, we are indulged in offering a competitive range of HSS Side Face Cutter. Offered cutter finds wide applications in engineering industries. We offer a wide range of Face & Angle Cutters made of high speed and heavy duty steel. 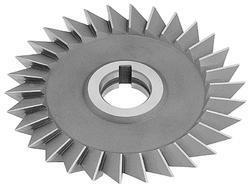 These cutters are available in different counts and angles of side cutting teeth. Used for furrowing various metallic and non-metallic parts and making small and large, deep holes in steel and other soft materials. We are trusted by industry professionals due to offering Spot Face Cutter of optimal quality. This cutter is best in quality and presented to patrons in safe form. These cutters remain sustained in rough conditions. Moreover to this, we apply genuine price for all these face cutters.